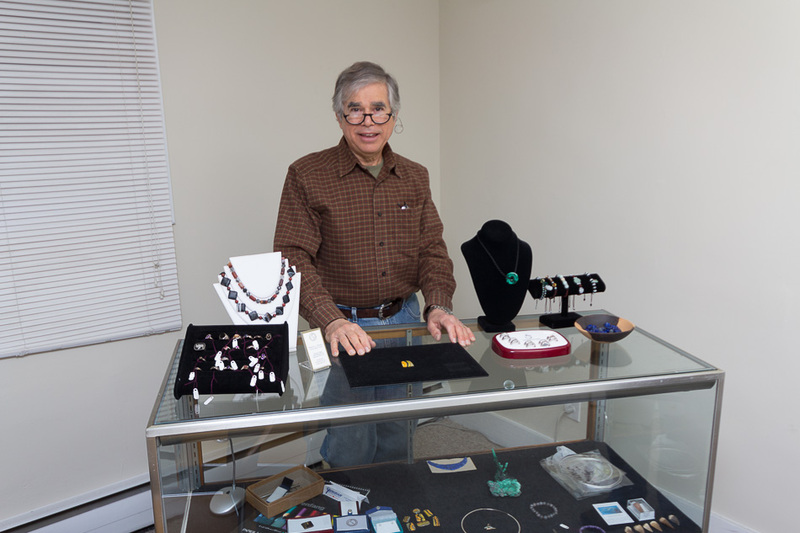 Steve has been interested in jewelry making and metalsmithing since the early 70’s. He was an apprentice at a gold factory in Tel Aviv and then returned back to the states to attend The Bowman Technical School in Lancaster, PA to polish his skills and learn diamond setting and jewelry repair. He then worked in several jewelry shops as a bench jeweler and then went out on his own. Included in the mix is his love for unusual gemstones. Steve has traveled extensively buying stones from Idar Oberstein in Germany to the Lapis Lazuli mines in Afghanistan, and to the cutters in Hong Kong. These days he makes his annual international buying trip by going to the Tucson Gem Show each winter, possibly the worlds largest gemstone market where the finest gems on the planet are traded by dealers far and wide. Services include designing and fabricating unique pieces of jewelry, all types of jewelry repair and pearl and bead stringing. Specializing in all types of engagement rings and wedding bands from the conventional and beyond. Steve also has access to a large inventory of precious and semi precious gemstones along with diamonds.